The Assignment: Turn a Kenneth Kirschner piano/viola duet into a trio. The latest release from Kenneth Kirschner is a series of duets for himself on piano and Tawnya Popoff on viola. For this Disquiet Junto project you will add your own performance to one of the duets. This will turn it, in effect, into a trio. You cannot change the existing audio, except to the extent that you can elect to trim it to a more manageable length, in which case you might choose to fade in and out. 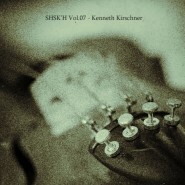 The Kirschner release is titled June 5, 2012, and it consists of three parts. You’ll be working on the third part, which is titled “June 5, 2012 – iii.” It’s available for download at the netlabel shskh.com, where the album is the 7th (and most recent) of the label’s releases. Deadline: Monday, October 8, at 11:59pm wherever you are. Length: Your finished work should be between 2 and 11 minutes in length. Information: Please, when posting your track on SoundCloud, include a description of your process in planning, composing, and recording it. This description is an essential element of the communicative process inherent in the Disquiet Junto. Title/Tag: When adding your track to the Disquiet Junto group on Soundcloud.com, please include the term “disquiet0040-kirschnerplus1”in the title of your track, and as a tag for your track.